The new campaign portrays a modern interpretation of the designer's iconic jet set sensibility. 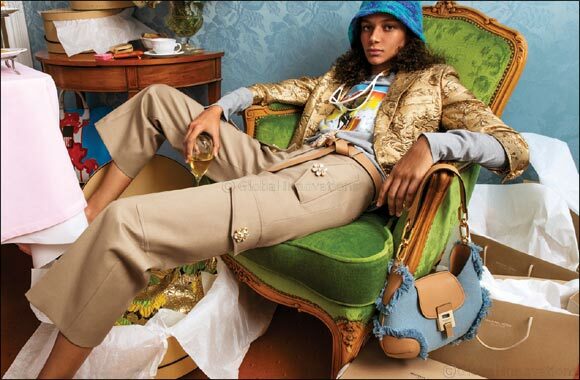 Inez and Vinoodh capture model Binx Walton in the intimacy of her hotel suite at the storied Le Negresco in Nice, France. The hotel's lavish and playful interiors underline the brand's iconic mix of glamour and ease—the signature of today's jet set. The global campaign will debut in January, with print ads running in Spring issues worldwide. The images will also appear in digital, as well as social media platforms and traditional outdoor media placement.